Perhaps one of the most agonizing yet rewarding decisions a homeowner must make when choosing to install pavers is which color(s) to choose. It’s a good problem to have because it means the odds of finding the perfect pavers for your home environment are high, especially if you implement these helpful tips. 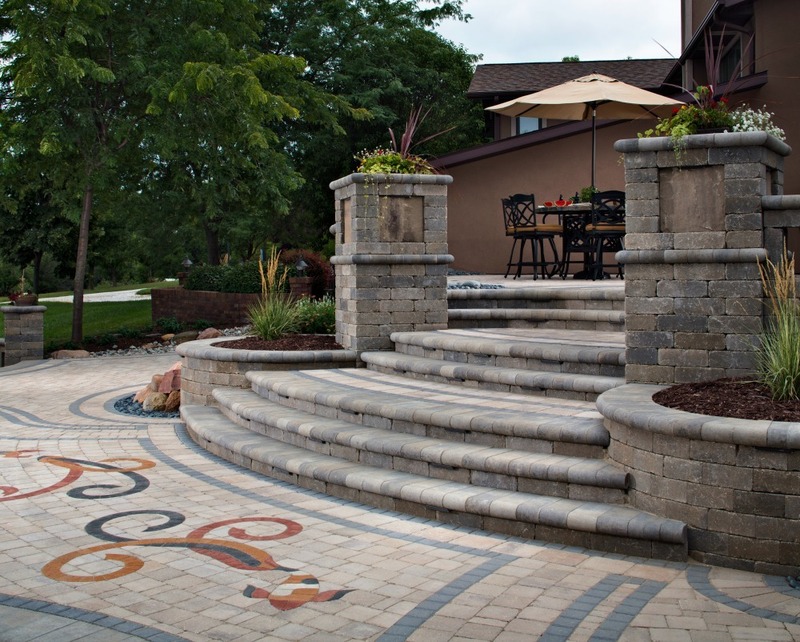 Belgard pavers suggests selecting hues that harmonize with your home. For example, pavers that are a few shades lighter than your home won’t compete with it, allowing the structure itself to serve as a focal point without confusing the eye. Brick-colored pavers can warm up a home with wood siding but aren’t really recommended for use with brick homes. Experts believe that mixing a brick home with brick hardscape usually results in too much red. Grey pavers paired with a brick house are a less-overwhelming combination of color. It’s easy for homeowners to default to natural tone pavers because they blend well with surroundings. However, even natural tones can have hues of pink, yellow, or gray that might be accented by sunlight or water from irrigation overspray. So it’s important to scrutinize pavers with natural tones extremely well to make sure that the color is right for your home. These colors are trending at the moment because they are reminiscent of beach or desert tranquility and, therefore, conjure up feelings of being on vacation. 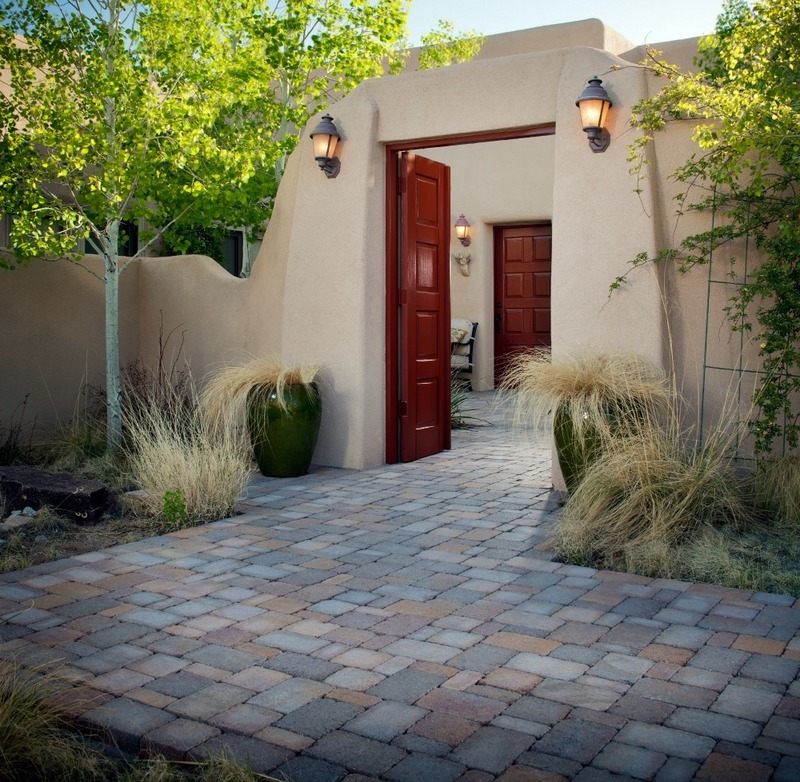 Are you adding pavers to a zen garden and need a muted, tranquil feel? Non-tumbled pavers in natural or grey tones with clean lines might be your answer. Do you want to create a vibrant space with lots of color and energy? Look into patterns that can be set into your driveway or patio. Is your taste modern or perhaps more rustic? 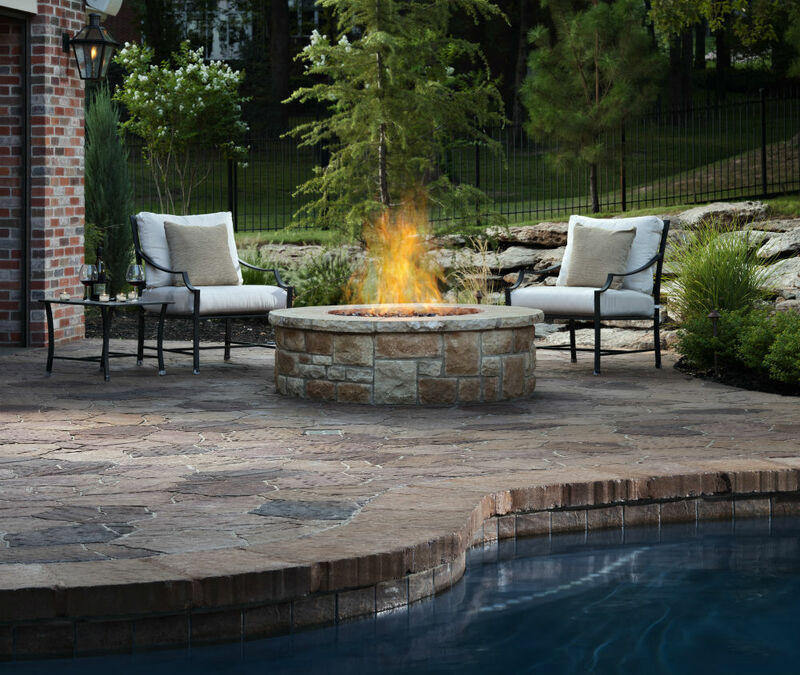 Rustic means that tumbled pavers with uneven edges and colors may suit your look best. If you want to make an area feel larger, light-colored pavers will do the trick because they reflect light. On the contrary, dark-colored pavers tend to make spaces look and feel smaller because they absorb light. Paver color can change depending on the amount of sunlight that hits it. Check the area throughout the day in bright sunlight, filtered sunlight and even at night when landscape lights shine on the pavers. If the area is completely shaded, you may want to opt for light-colored pavers which will lighten the area. And, should you live in a hot climate, you may want to consider how hot the paving stones may get, especially if they will be near a pool where kids might be walking around outside with bare feet. If stains will bother you and replacing pavers each time a stain occurs isn’t in the cards, multicolored pavers are the way to go. These pavers usually have two or more variations in color and tend to hide stains very well. And, because multicolored pavers obviously have more colors in them, they tend to blend more seamlessly into existing environments. Some experts believe that matching the color of walkway, driveway and patio pavers to the color of your home’s roof is the way to go because this strategy ties colors together. The colors don’t need to match exactly but should have the same hues. Look at pictures online and homes in person to determine whether or not this strategy appeals to you. Often times, homeowners fall in love with a paver color first that may not exactly match the home’s exterior. Take a look around and see if you can tie in the color by repainting window shutters, changing rain gutters and downspouts, switching the front door color or by refreshing other accents. Smooth surfaces are best for areas with continual traffic like walkways but that doesn’t mean you can’t line them with textured pavers to create visual interest. Pavers with rough or jagged surfaces can be used wherever a little traction might be required, such as near a pool, or in areas where people aren’t often walking. Textured pavers have more color variation because the varying surface height, albeit small, can create tiny shadowing causing the pavers to perhaps appear darker or lighter in spots than under bright light in a retailer. 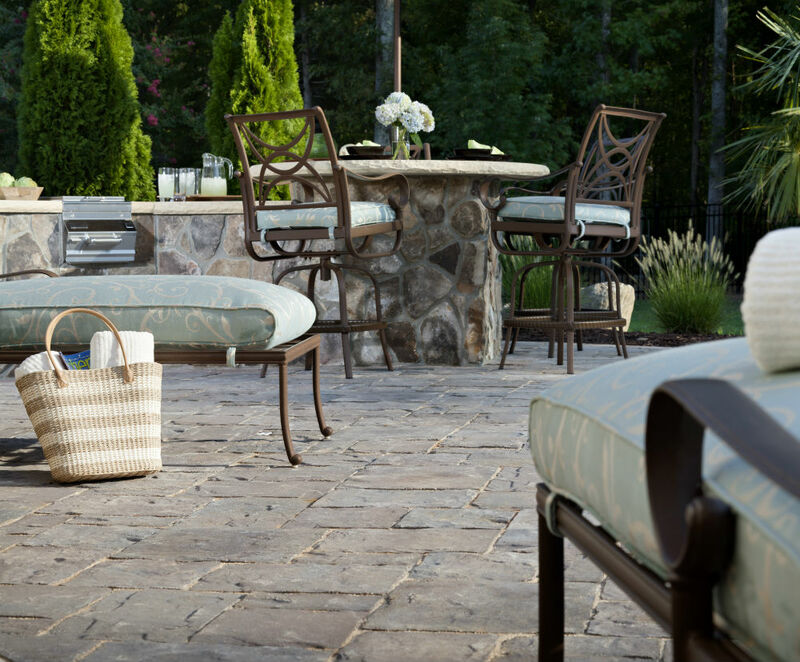 Tumbled pavers are the most commonly available these days. They go through an extra process of actually tumbling in a rotating drum that wears down sharp edges, creates color variation and gives them a more natural, rustic look. But, this means that joints in between the pavers are typically larger than those between untumbled pavers, subjecting them to more weeds, the need to fill the joints with more sand over time as well as a higher price tag because of the extra processing. Note that most tumbled and textured pavers are ADA compliant these days but it doesn’t hurt to verify this prior to purchasing. There are no right or wrong answers here as the ultimate choice is a matter of personal taste. How did you select the color of your pavers?